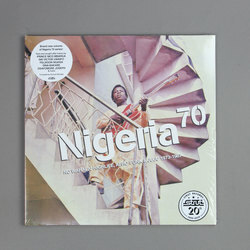 Various Artists - Nigeria 70: No Wahala: Highlife, Afro-Funk & Juju 1973-1987. Vinyl LP. Bleep. Wicked compilation from Strut Records here. Anyone who’s picked up one of the label’s other Nigeria 70 sets will know that these are some of the best albums going for fans of golden-age West African rock. No Wahala: Highlife, Afro-Funk & Juju 1973-1987 is another cracking set of rare essentials from one of the richest musical epochs in recent history. All the tracks here have been restored and remastered, and the physical editions contain informative liner notes and interviews with some of the featured artists. Not to be missed.